Major General K Harper, Fifth Division, Virginia Militia, was appointed colonel, Provisional Army of Virginia, at Harpers Ferry, Jefferson County, Virginia, on 1 May, 1861, and was assigned to the 5th Virginia Infantry on 7 May, 1861. Colonel K Harper's, 5th Virginia Infantry, resignation was accepted by Special Orders No.270, Paragraph VI, Headquarters, Virginia Forces, on 5 September, 1861. Brigadier General W H Harman, Thirteenth Brigade, Fifth Division, Virginia Militia, was appointed lieutenant colonel, Provisional Army of Virginia, at Harpers Ferry, Jefferson County, Virginia, on 1 May, 1861, and was appointed colonel, 5th Virginia Infantry, on 12 September, 1861, dated 11 September, 1861. Captain W S H Baylor, West Augusta Guards, was appointed major, Provisional Army of Virginia, at Harpers Ferry, Jefferson County, Virginia, on 1 May, 1861, and was assigned to the 5th Virginia Infantry on 28 May, 1861. Major W S H Baylor, 5th Virginia Infantry, was appointed lieutenant colonel, 5th Virginia Infantry, on 12 September, 1861, dated 11 September, 1861. 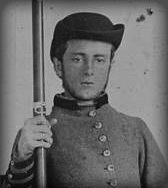 Captain A Koiner, 5th Virginia Infantry, Company H, was appointed major, 5th Virginia Infantry, on 12 September, 1861, dated 11 September, 1861. The company was accepted in state service at Winchester, Frederick County, Virginia, by Colonel L T Moore, 31st Virginia Militia (Frederick County), on 18 April, 1861, and arrived at Harpers Ferry, Jefferson County, Virginia, in the morning on 19 April, 1861. The company was mustered in state or Confederate service for one year at Camp Maggott, on Flat Run, three miles east of Manassas Junction, Prince William County, Virginia, by Lieutenant Colonel W H Harman, 5th Virginia Infantry, on 29 July, 1861. The company was accepted in state service at Lexington, Rockbridge County, Virginia, on 18 April, 1861, and was ordered to Harpers Ferry, Jefferson County, Virginia, at 1 PM the same day. The company arrived at Harpers Ferry, Jefferson County, Virginia, on 23 April, 1861, and was mustered in state service for one year by Captain M McDonald, Provisional Army of Virginia, on 15 May, 1861. The company was assigned to the 4th Virginia Infantry, Company K, at Camp Johnston, Shenandoah Valley Agricultural Society Fairgrounds, one mile northwest of Winchester, Frederick County, Virginia, on 13 July, 1861, and to the 27th Virginia Infantry, Company K (2nd), at the rear between Blackburn's and Mitchell's Fords, on the Bull Run River, on 24 July, 1861. The company was accepted in state service at Spring Hill, Augusta County, Virginia, on 17 April, 1861, and was ordered to Harpers Ferry, Jefferson County, Virginia, in the morning on 19 April, 1861. The company arrived at Harpers Ferry, Jefferson County, Virginia, on 22 April, 1861, and was mustered in state service for one year at Harpers Ferry, Jefferson County, Virginia, by Captain H J Williams, 5th Virginia Infantry, Company D, on 1 May, 1861. The company was accepted in state service at Middlebrook, Augusta County, Virginia, on 17 April, 1861, and was ordered to Harpers Ferry, Jefferson County, Virginia, in the morning on 19 April, 1861. The company arrived at Harpers Ferry, Jefferson County, Virginia, on 22 April, 1861, and was mustered in state service for one year at Harpers Ferry, Jefferson County, Virginia, by Captain M McDonald, Provisional Army of Virginia, on 25 May, 1861. The company was accepted in state service at Greenville, Augusta County, Virginia, on 18 April, 1861, and was ordered to Harpers Ferry, Jefferson County, Virginia, in the morning on 19 April, 1861. The company arrived at Harpers Ferry, Jefferson County, Virginia, on 22 April, 1861, and was mustered in state service for one year at Harpers Ferry, Jefferson County, Virginia, by Captain M McDonald, Provisional Army of Virginia, on 19 May, 1861. The company was accepted in state service at West View, Augusta County, Virginia, on 29 April, 1861, and arrived at Staunton, Augusta County, Virginia, on 13 May, 1861. The company was ordered to proceed by the Virginia Central Railroad to Harpers Ferry, Jefferson County, Virginia, in the morning on 13 May, 1861, and was mustered in state service for one year by Captain M McDonald, Provisional Army of Virginia, on 17 May, 1861. The company was accepted in state service at Staunton, Augusta County, Virginia, on 28 April, 1861, and was ordered to proceed by the Virginia Central Railroad to Harpers Ferry, Jefferson County, Virginia, in the morning on 13 May, 1861. The company was mustered in state service for one year by Captain M McDonald, Provisional Army of Virginia, , on 14 May, 1861, and Captain A W Harman, 5th Virginia Infantry, Company G, was appointed colonel, 12th Virginia Cavalry, on 21 June, 1863 (See the 7th Virginia Cavalry). The company was accepted in state service, under the command of Captain A Koiner, at Fisherville, Augusta County, Virginia, on 19 April, 1861, and was ordered to proceed by the Virginia Central Railroad to Harpers Ferry, Jefferson County, Virginia, in the morning the same day. The company arrived at Harpers Ferry, Jefferson County, Virginia, on 21 April, 1861, and First Lieutenant G T Antrim, 5th Virginia Infantry, Company H, was appointed captain, 5th Virginia Infantry, Company H, on 23 April, 1861. The company was mustered in state service for one year at Harpers Ferry, Jefferson County, Virginia, by Captain M McDonald, Provisional Army of Virginia, on 19 May, 1861, and Captain A Koiner, 5th Virginia Infantry, Company H, was appointed major, 5th Virginia Infantry, on 12 September, 1861, dated 11 September, 1861. The company was accepted in state service at Sangerville, Augusta County, Virginia, on 11 May, 1861, and arrived at Staunton, Augusta County, Virginia, on 13 May, 1861. The company was ordered to proceed by the Virginia Central Railroad to Harpers Ferry, Jefferson County, Virginia, on 15 May, 1861, and arrived on 18 May, 1861. The company was mustered in state service for one year by Captain M McDonald, Provisional Army of Virginia, on 22 May, 1861. The company was accepted in state service at Winchester, Frederick County, Virginia, on 18 April, 1861, and arrived by the Winchester & Potomac Railroad at Harpers Ferry, Jefferson County, Virginia, in the morning on 19 April, 1861. The company was mustered in state service for one year at Camp Stephens, Four Mile Woods or Myer's Orchard, east of the Valley Turnpike, two and a half miles south of Hainesville, Berkeley County, Virginia, by Major W S H Baylor, 5th Virginia Infantry, on 30 June, 1861. The company was accepted in state service at Staunton, Augusta County, Virginia, under the command of First Lieutenant J H Waters, on 17 April, 1861, and was ordered to Harpers Ferry, Jefferson County, Virginia, at 6 PM on 17 April, 1861 (See the Staunton Artillery). The company arrived at Harpers Ferry, Jefferson County, Virginia, at 4 AM on 19 April, 1861, and was mustered in state service for one year by Captain M McDonald, Provisional Army of Virginia, on 17 May, 1861. Captain W S H Baylor, 5th Virginia Infantry, Company L, was appointed major, 5th Virginia Infantry, on 28 May, 1861, and the West Augusta Guards was designated the West Augusta Artillery, under the command of Captain J H Waters, on 31 October, 1861. The company was accepted in state service at Mount Sidney, Augusta County, Virginia, on 19 April, 1861, and was ordered to Harpers Ferry, Jefferson County, Virginia, under the command of First Lieutenant W P Johnson, in the morning the same day. The company arrived at Harpers Ferry, Jefferson County, Virginia, on 21 April, 1861, and (21) was disbanded at Winchester, Frederick County, Virginia, on 16 June, 1861. "At a meeting of the Commissioned Officers of the several Volunteer Companies of augusta County, held at the Clerk's Office of the Hustings Court of the Town of staunton, on the 13th of April, 1861, Col. Wm. D. Anderson, Colonel of 160th Regiment, being in the Chair, the following resolution was offered and adopted by a vote by companies; Resolved, That, we, Commissioned Officers in the following Volunteer Companies in the county of Augusta, to wit: The West Augusta Guard, The Union Greys, The Augusta Greys, The Southern Guard, The Augusta Rifles, The Valley Rangers, The Staunton Artillery, comprising an aggregate of 422 men, rank and file, ubiformed and armed, do hereby agree to the formation of a Regiment of Volunteers to be numbered the 5th, pursuant to the provisions of the 26th Chapter of the Code of 1860, and that we proceed to organise the same by the election of a Colonel, Lieut. Colonel and two Majors under an order from General Head Quarters, dated the 27th March, 1861, and addressed to Col. Wm. D. Anderson, Col. of the 160th Regiment." "The meeting then proceeded to the election of Field Offiers, which resulted as follows: For Colonel, Capt. Wm. S. H. Baylor; for Lieut. Colonel, Capt. Absolom Coiner; for 1st Major, Capt. F. F. Sterrett; for 2d Major, Col. Rudolph Turk." "The Charlottesville companies were full, and these, joined by the West Augusta Guard, who arrived about 10 ½ P. M., swelled the number of soldiers to near five hundred men, sent on a service both of danger and honor." "The Mt. Sidney Union Guards arrived here about an hour ago." "To-night the Rockbridge Rifles, Capt. Saml. Letcher, (John's brother,) - a large company - are quartered in the Court-House." "On Friday morning, three Companies under the command of Capt. Robt. L. Doyle left this place and marched down the Valley. These Companies were the following: Montain Guard, (Spring Hill) Capt. Robt. L. Doyle; Augusta Greys, (Greenville) Capt. James W. Newton; and Southern Guard, (Middlebrook) Capt. Hazel Williams." "The 'Union Greys' (Mt. Sidney) Capt. Stuart M. Crawford, marched down the Valley on Friday morning, under the command of Lieut. W. P. Johnson, Captain Crawford being too unwell to go. This gallent Company supped in Harrisonburg and marched on the same night to take the cars at Mt. Jackson on Saturday morning. On the same morning the Augusta Rifles, Capt. Absalom Coiner." "The battalion which left this place on Wednesday, the 17th instant, for Harper's Ferry, have returned home. The battalion consists of the Monticello Guards, Captain Mallory; the Albemarle Rifles, Capt. Duke; the Sons of Liberty, Captain Tosh; and the Southern Guard, Capt. Hutter, of the University." "A young man by the name of Hilliard, of the 'Marion Rifles,' was accidently shot in the leg at Harper's Ferry, on Tuesday last." "On Monday morning (yesterday,) the 'Staunton Rifles,' Capt. Asher W. Harman, left in the Eastern train, making the welkin ring with their cheers. The West View Company, Capt. Roberts, arrived on Monday, and left here on Tuesday morning." "The following companies left this place during the past week: On Saturday the 12th, Rockbridge Artillery, Capt. W. N. Pendleton; on Monday, the 13th, Staunton Rifles, Capt. Asher W. Harman, and West View Infantry, Capt. St. Francis C. Roberts; on Tuesday, Churchville Cavalry, Capt. Sterrett; on Wednesday, Alleghany Light Infantry, Capt. Thompsin McAllister, and Ready Rifles of Augusta, Capt. O. F. Grinnan; on Thursday, Rockbridge Greys, Capt. James G. Updike, and, on Saturday, about one hundred soldiers enlisted in the regular army. On Monday of this week, Greenbrier Rifles, Capt. Robert F. Dennis, and Hibernians, Capt. H. H. Robertson; on Tuesday, Monroe Guard, Capt. Tiffany, and Alleghany Rifles, Capt. Holloway. Other companies will leave in a few days." The Virginia Regimental Histories Series, Fifth Virginia Infantry, by I A Wallace, Jr.
"Cadet Junius L Hempstead was assigned to drill the 5th Virginia Infantry." The 5th Virginia Infantry was organised on 7 May, 1861, and was stationed at Harpers Ferry, Jefferson County, Virginia, on 25 May, 1861. Note: The West Augusta Guards, the Union Greys, the Augusta Greys, the Southern Guards, the Augusta Rifles, the Valley Rangers, and the Staunton Artillery were assigned to the 5th Virginia State Troops, under the command of Colonel W S H Baylor, Lieutenant Colonel A Koiner, First Major F F Sterrett, and Second Major R Turk, at Staunton, Augusta County, Virginia, on 13 April, 1861. Mustered for one year, Harpers Ferry, Jefferson County, Virginia, Companies B, C, D, F, G, I, & L, 1, 14, 15, 17, 19, 22, & 25 May, 1861: The 5th Virginia Infantry, Company C, was mustered in state service for one year at Harpers Ferry, Jefferson County, Virginia, by Captain H J Williams, 5th Virginia Infantry, Company D, on 1 May, 1861; Company G for one year at Harpers Ferry, Jefferson County, Virginia, by Captain M McDonald, Provisional Army of Virginia, on 14 May, 1861; Company B for one year on 15 May, 1861; Companies F and L for one year on 17 May, 1861; Companies E and H for one year on 19 May, 1861; and Company I for one year on 22 May, 1861; Company D for one year on 25 May, 1861. Mustered for one year, Camp Stephens, Four Mile Woods or Myer's Orchard, east of the Valley Turnpike, two and a half miles south of Hainesville, Berkeley County, Virginia, Company K, 30 June, 1861: The 5th Virginia Infantry, Company K, was mustered in state service for one year at Camp Stephens, Four Mile Woods or Myer's Orchard, east of the Valley Turnpike, two and a half miles south of Hainesville, Berkeley County, Virginia, by Major W S H Baylor, 5th Virginia Infantry, on 30 June, 1861. Mustered for one year, Camp Maggott, on Flat Run, three miles east of Manassas Junction, Prince William County, Virginia, Company A, 29 July, 1861: The 5th Virginia Infantry,Company A, was mustered in state or Confederate service for one year three miles east of Manassas Junction, Prince William County, Virginia, by Lieutenant Colonel W H Harman, 5th Virginia Infantry, on 29 July, 1861. The West Augusta Guards was ordered to seize Harpers Ferry Arsenal and Armory, on Shenandoah and Potomac Streets, Harpers Ferry, Jefferson County, Virginia, on 17 April, 1861. Note: Major General K Harper, Fifth Division, Virginia Militia, was ordered to Harpers Ferry, Jefferson County, Virginia, at 5 PM on 17 April, 1861, and arrived at Winchester, Frederick County, Virginia, at 12 PM on 18 April, 1861. Staunton, Augusta County, to Manassas Junction, Prince William County, Virginia, Company L, 17-18 April, 1861: The West Augusta Guards was ordered to proceed by the Virginia Central Railroad to Harpers Ferry, Jefferson County, Virginia, under the command of Brigadier General W H Harman, Thirteenth Brigade, Fifth Division, Virginia Militia, at 6 PM on 17 April, 1861, and was accompanied by the Staunton Artillery a (See the Staunton Artillery). The company arrived at Charlottesville, Albemarle County, Virginia, at 10.30 PM the same day and by the Orange & Alexandria Railroad at Culpeper Courthouse, Culpeper County, Virginia, at 3 AM on 18 April, 1861. The West Augusta Guards arrived at Manassas Junction, Prince William County, Virginia, in the morning the same day. Note: The Charlottesville & University Battalion Infantry was stationed at Charlottesville, Albemarle County, Virginia, at 10.30 PM on 17 April, 1861, and the Culpeper Minutemen at Culpeper Courthouse, Culpeper County, Virginia, at 3 AM on 18 April, 1861. Manassas Junction, Prince William County, to Harpers Ferry, Jefferson County, Virginia, Company L, 18-19 April, 1861: The West Augusta Guards arrived by the Manassas Gap Railroad at Strasburg, Shenandoah County, Virginia, at 11 AM on 18 April, 1861, and was ordered to proceed by the Valley Turnpike to Winchester, Frederick County, Virginia, at 1 PM the same day. The company arrived at Winchester, Frederick County, Virginia, at 8 PM on 18 April, 1861, and was ordered to proceed by the Winchester & Potomac Railroad to Charlestown, Jefferson County, Virginia, at 9 PM the same day. The West Augusta Guards was ordered to proceed by the Middleway, Charlestown & Harpers Ferry Turnpike to Harpers Ferry, Jefferson County, Virginia, at 12 AM on 19 April, 1861, and arrived via Halltown and Bolivar Heights, one and a half miles west of Harpers Ferry, Jefferson County, Virginia, at 4 AM the same day. Note: Colonel C A Crump, special aid to the Governor of Virginia J Letcher, was ordered to proceed by the Virginia Central Railroad to Harpers Ferry, Jefferson County, Virginia, on 17 April, 1861, and arrived at Strasburg, Shenandoah County, Virginia, on 18 April, 1861. Winchester, Frederick County, to Harpers Ferry, Jefferson County, Virginia, Companies A & K, 18-19 April, 1861: The Marion Rifles and the Continental Morgan Guards, 31st Virginia Militia (Frederick County), Company A, were ordered to proceed by the Winchester & Potomac Railroad to Harpers Ferry, Jefferson County, Virginia, on 18 April, 1861, and arrived via Charlestown and Halltown, Jefferson County, Virginia, in the morning on 19 April, 1861. Lexington, Augusta County, to Harpers Ferry, Jefferson County, Virginia, Company B, 18-23 April, 1861: The Rockbridge Rifles was ordered to Harpers Ferry, Jefferson County, Virginia, at 1 PM on 18 April, 1861, and arrived at Staunton, Augusta County, Virginia, at 4 AM on 19 April, 1861. The company was ordered to Mount Sidney, Augusta County, Virginia, at 2 PM the same day and arrived in the evening on 19 April, 1861. The Rockbridge Rifles was ordered to Harrisonburg, Rockingham County, Virginia, in the morning on 20 April, 1861, and arrived via Mount Crawford, Rockingham County, Virginia, at 4 PM on 20 April, 1861. The company was ordered to Mount Jackson, Shenandoah County, Virginia, in the morning on 21 April, 1861, and arrived at 6 PM on the same day. The Rockbridge Rifles was ordered to proceed by the Manassas Gap Railroad to Strasburg, Shenandoah County, Virginia, at 7.30 AM on 22 April, 1861, and arrived by the Winchester & Potomac Railroad at Harpers Ferry, Jefferson County, via Winchester, Frederick County, Virginia, on 23 April, 1861. Note: The Rockbridge Rifles, the 1st Rockbridge Dragoons (No.1), and the 2nd Rockbridge Dragoons (No.2) were stationed at Lexington, Augusta County, Virginia, on 18 April, 1861, and the 1st Rockbridge Dragoons (No.1) was stationed at Mount Crawford, Rockingham County, Virginia, on 19 April, 1861, and the Rockbridge Rifles and the 2nd Rockbridge Dragoons (No.2) on 20 April, 1861 (See the 1st Virginia Virginia). Mount Sidney, Augusta County, to Harpers Ferry, Jefferson County, Virginia, Company G/M, 19-21 April, 1861: The Union Greys (41), under the command of First Lieutenant W P Johnson, was ordered to Harpers Ferry, Jefferson County, Virginia, in the morning on 19 April, 1861, and arrived at Harrisonburg, Rockingham County, Virginia, the same day. The company was ordered to Mount Jackson, Shenandoah County, Virginia, in the evening the same day and arrived in the morning on 20 April, 1861. The Union Greys was ordered to proceed by the Manassas Gap Railroad to Strasburg, Shenandoah County, Virginia, the same day and arrived by the Winchester & Potomac Railroad at Harpers Ferry, Jefferson County, via Winchester, Frederick County, Virginia, Virginia, on 21 April, 1861. Note: Captain S M Crawford, Union Greys, was too ill for duty on 19 April, 1861. Staunton, Augusta County, to Harpers Ferry, Jefferson County, Virginia, Companies C, D, & E, 19-22 April, 1861: The Mountian Guards, the Southern Guards, and the Augusta Greys, under the command of Captain R L Doyle, Mountain Guards, were ordered to Harpers Ferry, Jefferson County, Virginia, in the morning on 19 April, 1861, and arrived at Harrisonburg, Rockingham County, Virginia, the same day. The Mountian Guards, the Southern Guards, and the Augusta Greys were ordered to Mount Jackson, Shenandoah County, Virginia, in the morning on 20 April, 1861, and arrived in the evening the same day. The Mountian Guards, the Southern Guards, and the Augusta Greys were ordered to proceed by the Manassas Gap Railroad to Strasburg, Shenandoah County, Virginia, on 21 April, 1861, and arrived by the Winchester & Potomac Railroad at Harpers Ferry, Jefferson County, via Winchester, Frederick County, Virginia, on 22 April, 1861. Note: The Mountian Guards, 160th Virginia Militia (Augusta County); the Southern Guards, 93rd Virginia Militia (Augusta County); and the Augusta Greys, 93rd Virginia Militia (Augusta County), were stationed at Staunton, Augusta County, Virginia, on 19 April, 1861. Fisherville, Augusta County, to Harpers Ferry, Jefferson County, Virginia, Company H, 19-21, 1861: The Augusta Rifles was ordered to proceed by the Virginia Central Railroad to Harpers Ferry, Jefferson County, Virginia, in the morning on 19 April, 1861, and arrived via Charlottesville, Albemarle County; Manassas Junction, Prince William County; and Winchester, Frederick County, Virginia, on 21 April, 1861. The West Augusta Guards, the Mountian Guards, the Southern Guards, the Augusta Greys, the Marion Rifles, the Continental Morgan Guards, the Rockbridge Rifles, the Augusta Rifles, and the Union Greys were stationed at Camp Hill, Harpers Ferry, Jefferson County, Virginia, under the command of Major General K Harper, Fifth Division, Virginia Militia, on 23 April, 1861. Note: The 5th Virginia Infantry was stationed at the Armory Building, on Potomac Street, Harpers Ferry, Jefferson County, Virginia, and the West Augusta Guards and a section of the Staunton Artillery at Bolivar Heights, one and a half miles west of Harpers Ferry, Jefferson County, Virginia, on 22 April, 1861. Harpers Ferry & Maryland Heights, opposite Harpers Ferry, Jefferson County, Virginia, Company B, 25-28 April, 1861: The Rockbridge Rifles was ordered to Maryland Heights, opposite Harpers Ferry, Jefferson County, Virginia, in the evening on 25 April, 1861, and to Harpers Ferry, Jefferson County, Virginia, on 28 April, 1861. Note: The Augusta Greys was stationed on Maryland Heights, opposite Harpers Ferry, Jefferson County, Virginia, on 4 May, 1861, and the Rockbridge Rifles on Loudoun Heights, two miles southeast of Harpers Ferry, Jefferson County, Virginia, on 9 May, 1861. Harpers Ferry, Jefferson County, Virginia, 19-30 April, 1861: Major General K Harper, Fifth Division, Virginia Militia, was assigned to command the troops stationed at Harpers Ferry, Jefferson County, Virginia, between 19 and 29 April, 1861, and Colonel T J Jackson, Provisional Army of Virginia, on 30 April, 1861. Harpers Ferry to Shepherdstown, Jefferson County, Virginia, 13 May, 1861: The 5th Virginia Infantry, Company C, was ordered to Shepherdstown, Jefferson County, Virginia, in the afternoon on 13 May, 1861, and was stationed at Shepherdstown, Jefferson County, Virginia, between 13 May and 13 June, 1861. Staunton, Augusta County, to Harpers Ferry, Jefferson County, Virginia, Company G, 13 & 14 May, 1861: The the Staunton Rifles was ordered to proceed by the Virginia Central Railroad to Harpers Ferry, Jefferson County, Virginia, in the morning on 13 May, 1861, and was stationed at Harpers Ferry, Jefferson County, Virginia, on 14 May, 1861. West View, Augusta County, to Harpers Ferry, Jefferson County, Virginia, Company F, 13-16 May, 1861: The West View Infantry was ordered to proceed by the Virginia Central Railroad to Harpers Ferry, Jefferson County, Virginia, on 13 May, 1861, and arrived via Charlottesville, Albemarle County; Manassas Junction, Prince William County; and Winchester, Frederick County, Virginia, on 16 May, 1861. Staunton, Augusta County, to Harpers Ferry, Jefferson County, Virginia, Company I, 15-18 May, 1861: The Ready Rifles was ordered to Harpers Ferry, Jefferson County, Virginia, on 15 May, 1861, and arrived on 18 May, 1861. Note: The 5th Virginia Infantry, Company B, was assigned to picket duty on Maryland Heights, opposite Harpers Ferry, Jefferson County, Virginia, on 1 May, 1861, and was assigned to duty building block houses on Loudoun Heights, two miles southeast of Harpers Ferry, Jefferson County, Virginia, between 9 and 19 May, 1861. The 5th Virginia Infantry, Company E, was ordered to Morgan County, Virginia, to seize arms distributed during the John Brown Raid on 29 May, 1861. Harpers Ferry, Jefferson County, to Martinsburg, Berkeley County, Virginia, Company B, 21-31 May, 1861: The 5th Virginia Infantry, Company B, was ordered to proceed by the Baltimore & Ohio Railroad to Martinsburg, Berkeley County, Virginia, on 21 May, 1861, and arrived at 8 PM the same day. The company was assigned to maintain order during the ratification of the Ordinance of Secession on 22 May, 1861, and was ordered to Harpers Ferry, Jefferson County, Virginia, in the morning on 31 May, 1861. The 5th Virginia Infantry, Company B, arrived at Harpers Ferry, Jefferson County, Virginia, in the evening the same day. Note: The 5th Virginia Infantry, Company B, declined to destroy the bridge on the Baltimore & Ohio Railroad at Opequon Creek, three miles east of Martinsburg, Berkeley County, Virginia, in the morning on 31 May, 1861. Note: The Virginia Hibernians and the Greenbrier or Lewisburg Rifles arrived at Harpers Ferry, Jefferson County, Virginia, on 22 May, 1861, and were assigned to the 5th Virginia Infantry between 23 and 29 May, 1861. The Virginia Hibernians and the Greenbrier or Lewisburg Rifles were assigned to the 27th Virginia Infantry, Companies B and E, respectively, on 30 May, 1861 (See the 27th Virginia Infantry). Harpers Ferry to Shepherdstown, Jefferson County, Virginia, Companies C & L, 30 May, 1861: The 5th Virginia Infantry, Companies C and L, under the command of Captain R L Doyle, 5th Virginia Infantry, Company C, were ordered to Sherphedstown, Jefferson County, Virginia, on 30 May, 1861, and were accompanied a section of the Staunton Artillery, under the command of First Lieutenant T L Harman (See the Staunton Artillery). Note: The 5th Virginia Infantry, Companies C and L, and a section of the Staunton Artillery, under the command of Captain R L Doyle, 5th Virginia Infantry, Company C, were stationed at Sherphedstown, Jefferson County, Virginia, on 4 June, 1861. Bridge on the Baltimore & Ohio Railroad, Opequon Creek, three miles east of Martinsburg, Berkeley County, Virginia, detachment of Company B, 1-2 June, 1861: A detachment of the 5th Virginia Infantry (25), Company B, under the command of Captain S H Letcher and Second Lieutenant J K Edmondson, was ordered to Opequon Creek, three miles east of Martinsburg, Berkeley County, Virginia, in the evening on 1 June, 1861, and destroyed the bridge on the Baltimore & Ohio Railroad, Opequon Creek, three miles east of Martinsburg, Berkeley County, Virginia, at 8 AM on 2 June, 1861. General Orders No.25, Headquarters, Virginia Forces, Richmond, Henrico County, Virginia, 8 June, 1861: The 5th Virginia Infantry was assigned to the Confederate States by General Orders No.25, Headquarters, Virginia Forces, Richmond, Henrico County, Virginia, on 8 June, 1861, and was accepted in Confederate service on 1 July, 1861. Note: The 5th Virginia Infantry, Company B, was stationed at Dam No.4, on the Potomac River, five miles north of Sherphedstown, Jefferson County, Virginia, in the evening on 9 June, 1861. Harpers Ferry to Sherphedstown, Jefferson County, Virginia, 11 June, 1861: The 5th Virginia Infantry was ordered to Sherphedstown, Jefferson County, Virginia, in the morning on 11 June, 1861, and arrived in the evening the same day. Note: The 5th Virginia Infantry, Company B, was assigned to guard duty at Shepherd's Ferry, on the Potomac River, east of Sherphedstown, Jefferson County, Virginia, on 12 June, 1861, and Company C, under the command of Captain R L Doyle, destroyed the covered bridge over the Potomac River between Shepherdstown, Jefferson County, Virginia, and Sharpsburg, Washington County, Virginia, at 2 AM on 13 June, 1861. Sherphedstown, Jefferson County, to Shenandoah Valley Agricultural Society Fairgrounds, one mile northwest of Winchester, Frederick County, Virginia, 13-14 June, 1861: The 5th Virginia Infantry was ordered to Winchester, Frederick County, Virginia, in the morning on 13 June, 1861, and arrived at Camp Johnston, Shenandoah Valley Agricultural Society Fairgrounds, one mile northwest of Winchester, Frederick County, Virginia, at 9 PM on 14 June, 1861. Note: The 5th Virginia Infantry was stationed at Dinkel's Farm, between Winchester, Frederick County, and Bunker Hill, Berkeley County, Virginia, and Company A was assigned to detached duty at the Shenandoah Valley Agricultural Society Fairgrounds, one mile northwest of Winchester, Frederick County, Virginia, on 16 June, 1861. Camp Johnston, Shenandoah Valley Agricultural Society Fairgrounds, one mile northwest of Winchester, Frederick County, to Mill Creek, a quarter of a mile north of Bunker Hill, Berkeley County, Virginia, 16-17 June, 1861: The 5th Virginia Infantry was ordered to proceed by the Martinsburg Turnpike to Bunker Hill, Berkeley County, Virginia, in the evening on 16 June, 1861, and arrived at Mill Creek, a quarter of a mile north of Bunker Hill, Berkeley County, Virginia, in the morning on 17 June, 1861. Note: The 5th Virginia Infantry was assigned to the First Brigade, Army of the Shenandoah, under the command of Brigadier General T J Jackson, Confederate States Army, at Mill Creek, a quarter of a mile north of Bunker Hill, Berkeley County, Virginia, on 16 June, 1861. Mill Creek, a quarter of a mile north of Bunker Hill, Berkeley County, to the Shenandoah Valley Agricultural Society Fairgrounds, one mile northwest of Winchester, Frederick County, Virginia, 17 June, 1861: The 5th Virginia Infantry was ordered to Winchester, Frederick County, Virginia, at 2 PM on 17 June, 1861, and arrived at Stephenson's Station, on the Winchester & Potomac Railroad, four miles northeast of Winchester, Frederick County, Virginia, in the evening the same day. Stephenson's Station, on the Winchester & Potomac Railroad, four miles northeast of Winchester, to the Shenandoah Valley Agricultural Society Fairgrounds, one mile northwest of Winchester, Frederick County, Virginia, 18 June, 1861: The 5th Virginia Infantry arrived at Camp Johnston, Shenandoah Valley Agricultural Society Fairgrounds, one mile northwest of Winchester, Frederick County, Virginia, in the evening on 18 June, 1861. Camp Johnston, Shenandoah Valley Agricultural Society Fairgrounds, one mile northwest of Winchester, Frederick County, to Martinsburg, Berkeley County, Virginia, 19-20 June, 1861: The 5th Virginia Infantry was ordered to proceed by the Martinsburg Turnpike to Martinsburg, Berkeley County, Virginia, in the afternoon on 19 June, 1861, and arrived at Darkesville, Berkeley County, Virginia, at 11 PM same day. The regiment was ordered to Martinsburg, Berkeley County, Virginia, in the morning on 20 June, 1861. Note: The 5th Virginia Infantry was ordered to destroy the rolling stock of the Baltimore & Ohio Railroad at Martinsburg, Berkeley County, Virginia, on 20 June, 1861, and was stationed in the vicinity of Martinsburg, Berkeley County, Virginia, on 21 June, 1861. Martinsburg to Four Mile Woods or Myer's Orchard, east of the Valley Turnpike, two & a half miles south of Hainesville, Berkeley County, Virginia, 21 June, 1861: The 5th Virginia Infantry was ordered to proceed by the Martinsburg & Williamsport Turnpike to Hainesville, Berkeley County, Virginia, at 3 PM on 21 June, 1861, and arrived at Camp Stephens, Four Mile Woods or Myer's Orchard, east of the Valley Turnpike, two and a half miles south of Hainesville, Berkeley County, Virginia, the same day. Skirmish at W Hill's & W Port(a)erfield's Farms, west of the Martinsburg & Williamsport Turnpike, one & a half miles southwest of Falling Waters, Berkeley County, Virginia, 2 July, 1861: The 5th Virginia Infantry was ordered to proceed by the Martinsburg & Williamsport Turnpike to Falling Waters, Berkeley County, Virginia, at 7.30 AM on 2 July, 1861, and was accompanied by the 1st Rockbridge Artillery (See the 1st Rockbridge Artillery). The regiment was engaged in a skirmish at between W Hill's and W Port(a)erfield's Farms, west of the Martinsburg & Williamsport Turnpike, one and a half miles southwest of Falling Waters, Berkeley County, Virginia, at 9 AM the same day. Note: The 5th Virginia Infantry, Companies B and L, were assigned to Major W S H Baylor; Companies A, C, D, E, F, H, I, and K to Colonel K Harper and Lieutenant Colonel W H Harman; and Company G to picket duty during the skirmish between W Hills and W Port(a)erfield's Farm, west of the Martinsburg & Williamsport Turnpike, one and a half miles southwest of Falling Waters, Berkeley County, Virginia, on 2 July, 1861. Camp Stephens, Four Mile Woods or Myer's Orchard, east of the Martinsburg & Williamsport Turnpike, two & a half miles south of Hainesville, to Darkesville, Berkeley County, Virginia, 2-3 July, 1861: The 5th Virginia Infantry arrived at Snodgrass or Big Spring, on the Martinsburg Turnpike, one and a half miles south of Martinsburg, Berkeley County, Virginia, in the evening on 2 July, 1861, and was ordered to Darkesville, Berkeley County, Virginia, in the morning on 3 July, 1861. Note: The 5th Virginia Infantry, Company B, was assigned to the 4th Virginia Infantry, Company K, at Darkesville, Berkeley County, Virginia, on 3 July, 1861. Darkesville, Berkeley County, to Stephenson's Station, on the Winchester & Potomac Railroad, four miles northeast of Winchester, Frederick County, Virginia, 7-8 July, 1861: The 5th Virginia Infantry was ordered to Winchester, Frederick County, Virginia, at 9 AM on 7 July, 1861, and arrived at Camp Carter, Stephenson's Station, on the Winchester & Potomac Railroad, four miles northeast of Winchester, Frederick County, via Bunker Hill, Berkeley County, Virginia, in the afternoon on 8 July, 1861. Note: The 5th Virginia Infantry was stationed five miles north of Winchester, Frederick County, Virginia, in the evening on 7 July, 1861. Camp Carter, Stephenson's Station, on the Winchester & Potomac Railroad, four miles northeast of Winchester, to the Shenandoah Valley Agricultural Society Fairgrounds, one mile northwest of Winchester, Frederick County, Virginia, 10 July, 1861: The 5th Virginia Infantry was ordered to Winchester, Frederick County, Virginia, at 7 AM on 10 July, 1861, and arrived at Camp Johnston, Shenandoah Valley Agricultural Society Fairgrounds, one mile northwest of Winchester, Frederick County, Virginia, at 12 AM the same day. The 5th Virginia Infantry was ordered to Manassas Junction, Virginia, by Special Orders No.1, Headquarters, Army of the Shenandoah, Winchester, Frederick County, Virginia, at 1 AM on 18 July, 1861, dated 17 July, 1861. Camp Johnston, Shenandoah Valley Agricultural Society Fairgrounds, one mile northwest of Winchester, Frederick County, to Piedmont Station, Fauquier County, 18-19 July, 1861: The 5th Virginia Infantry was ordered to proceed by the Millwood Turnpike to Piedmont Station, Fauquier County, Virginia, at 12 PM on 18 July, 1861, and arrived at Berry's Ferry, on the Shenandoah River, three and a half miles southeast of Millwood, Clarke County, Virginia, at 9 PM the same day. The regiment arrived at Paris, Fauquier County, Virginia, via Ashby's Gap at 1 AM on 19 July, 1861, and was ordered to Piedmont Station, Fauquier County, Virginia, at 3 AM same day. The 5th Virginia Infantry arrived at Piedmont Station, Fauquier County, Virginia, at 6 AM on 19 July, 1861. Piedmont Station, Fauquier County, to Manassas Junction, Prince William County, Virginia, 19 July, 1861: The 5th Virginia Infantry was ordered to proceed by the Manassas Gap Railroad to Manassas Junction, Prince William County, Virginia, at 9 AM on 19 July, 1861, and arrived at Camp Pickens, Manassas Junction, Prince William County, Virginia, at 4 PM the same day. Camp Pickens, Manassas Junction, Prince William County, to Blackburn's & Mitchell's Fords, on the Bull Run River,19 & 20 July, 1861: The 5th Virginia Infantry was ordered to the Bull Run River in the evening on 19 July, 1861, and to the rear between Blackburn's and Mitchell's Fords, on the Bull Run River, in the morning on 20 July, 1861. Note: The 5th Virginia Infantry was stationed at the rear between Blackburn's and Mitchell's Fords, on the Bull Run River, as support to the First Brigade, Army of the Potomac, on 21 July, 1861. After the first battle of Manassas the 5th Virginia Infantry was ordered to the rear between Blackburn's and Mitchell's Fords, on the Bull Run River, in the evening on 21 July, 1861. Rear between Blackburn's & Mitchell's Fords, on the Bull Run River, to Flat Run, three miles northwest of Manassas Junction, Prince William County, Virginia, 27 July, 1861: The 5th Virginia Infantry arrived at Camp Maggot, on Flat Run, three miles northwest of Manassas Junction, Prince William County, Virginia, on 27 July, 1861. Camp Maggott, on Flat Run, three miles northwest of Manassas Junction, Prince William County, to Centreville, Fairfax County, Virginia, 2 August, 1861: The 5th Virginia Infantry arrived at Camp Harman, one mile east of Centreville, Fairfax County, Virginia, on 2 August, 1861. Note: The 5th Virginia Infantry was stationed at Camp Harman, one mile east of Centreville, Fairfax County, Virginia, on 31 August, 1861. Reorganised at Conrad's Store, on Elk Run Creek, Rockingham County, Virginia, 17 April, 1862: The 5th Virginia Infantry was reorganised at Conrad's Store, on Elk Run Creek, Rockingham County, Virginia, on 17 April, 1862. Surrendered at Appomattox Courthouse, Appomattox County, Virginia, 9 April, 1865: The 5th Virginia Infantry, under the command of Captain P E Wilson, 5th Virginia Infantry, Company F, surrendered at Appomattox Courthouse, Appomattox County, Virginia, on 9 April, 1865. Brigadier General T J Jackson, Confederate States Army, First Brigade, Army of the Shenandoah: Major T J Jackson, Virginia Military Institute, was ordered to Richmond, Henrico County, Virginia, at 1 PM on 21 April, 1861, and arrived at Staunton, Augusta County, Virginia, at 4 AM on 22 April, 1861. He was ordered to proceed by the Virginia Central Railroad to Richmond, Henrico County, Virginia, at 9 AM the same day and arrived via Charlottesville, Albemarle County, and Gordonsville, Orange County, Virginia, at 3 AM on 23 April, 1861. Major T J Jackson, Virginia Military Institute, was appointed colonel, Provisional Army Virginia, and ordered to proceed by the Virginia Central Railroad to Harpers Ferry, Jefferson County, Virginia, on 27 April, 1861. Colonel T J Jackson, Provisional Army Virginia, was accompanied by Adjutant General J Preston and Inspector General J Massie, Confederate States Army, and arrived at Winchester, Frederick County, Virginia, on 28 April, 1861. He was ordered to proceed by the Winchester & Potomac Railroad to Harpers Ferry, Jefferson County, Virginia, at 2.30 PM on 29 April, 1861, and arrived in the evening the same day. Colonel T J Jackson, Provisional Army Virginia, was assigned to command the troops stationed in and around Harpers Ferry, Jefferson County, Virginia, by General Orders No.23, Division Headquarters, Harpers Ferry, Jefferson County, Virginia, on 30 April, 1861, and was appointed brigadier general, Confederate States Army, on 17 June, 1861, dated 8 July, 1861. The 5th Virginia Infantry was assigned to the First Brigade, Second Corps, Army of the Shenandoah, under the command of Brigadier General T J Jackson, Confederate States Army, on 25 September, 1861.